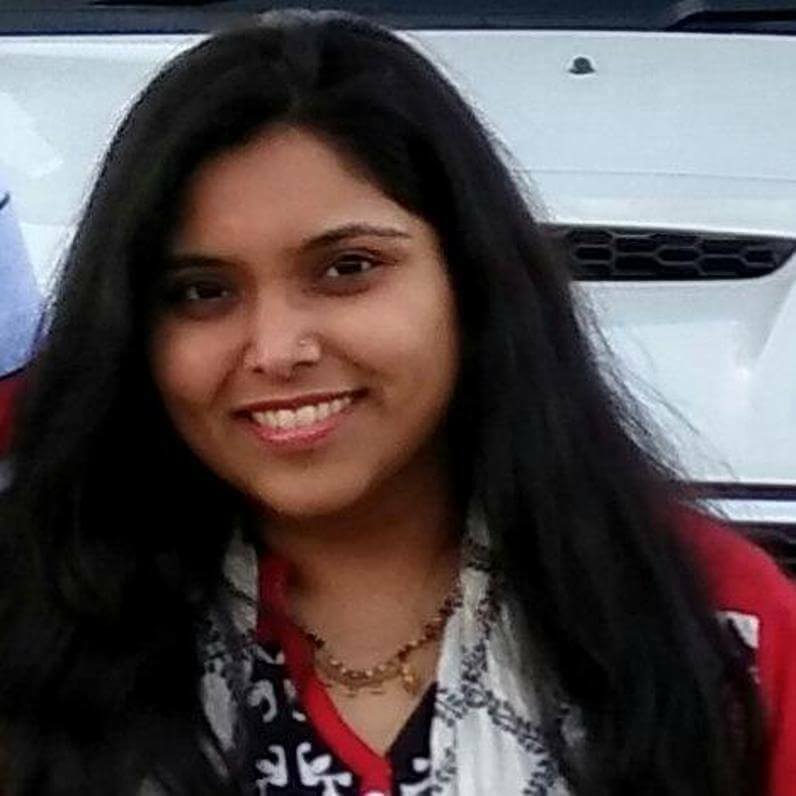 Anju Arun Kumar (CSE 2016 Rank 90) UPSC Topper’s Interview: The Epitome of Determination - IAS in her 6th attempt! 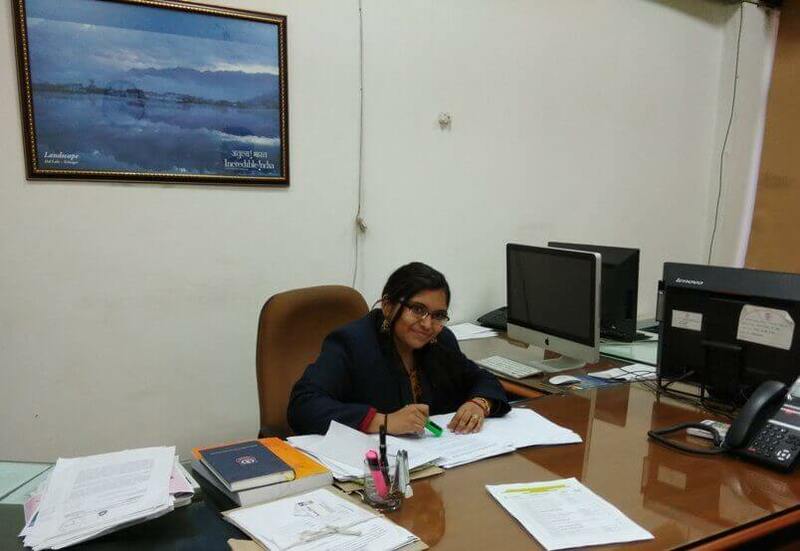 Anju Arun Kumar (CSE 2016 Rank 90) UPSC Topper’s Interview: The Epitome of Determination – IAS in her 6th attempt! To get selected into any of the civil services is not a small achievement. But to repeat the feat multiple times, and to get selected into IAS in the 6th attempt is not that common. That’s what Anju Arun Kumar did. Anju started her UPSC preparation right after B.Tech and got the selection to IAAS first. But her ambition was IAS. Her subsequent attempts landed her in IRS. She got married by then. Even though many would have settled by then, that was not the case with Anju. 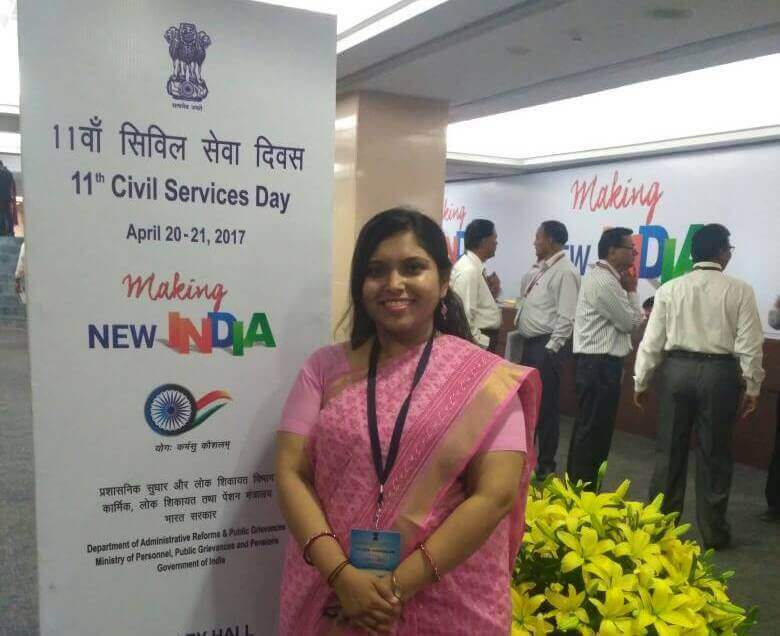 Her 6th attempt landed her in her dream service – IAS! Strategies of toppers who are able to repeat their success and prove that they are not one-time wonders carry a lot of weight. Let’s welcome Anju Arun Kumar to the “UPSC Toppers Interview” at www.clearias.com. Thank you! Yes, you could say it was a childhood dream, as I had seen some bureaucrats up close, but I wasn’t sure how to reach there, or whether I could. Eventually, when I went to college, I interacted with friends who were aspiring for the same, and they gave me the much-needed direction and motivation to start this journey. I had come to know from a close friend and colleague who called me up. At first, I couldn’t really grasp that it was real, but when I did, I was ecstatic! I come from a normal middle-class family. My father is a retired engineer, and my mom is a homemaker. I had done my entire schooling in Bahrain, where my dad used to work. I had come to Kerala to do my B.tech, from where I was straight away propelled into CSE-mode, and so I didn’t take up my placement job. I worked in IA&AS, where I was first an Officer Trainee, and later posted as Deputy. Accountant General in Dehradun. I later joined IRS (C&CE), where I am currently undergoing training in NACEN, Faridabad. First attempt (2011) – All-India Rank 305. Second attempt (2012) – Didn’t clear Preliminary Exam. Third attempt (2013) – All-India Rank 330. Fourth attempt (2014) – Cleared Main Exam, but didn’t reach the final list. Sixth attempt (2016) – All-India Rank 90. My graduation was honestly very different from my optional subject, but it was definitely the experiences there and the people who I met, who played a major role in bringing me into this. I was hopeful that I could get through, but I also accepted that it could be a long journey and that I will have to persevere like never before. I have always been very thankful for every barrier I crossed in CSE, which I owe to my family, friends and God, but I always wanted to keep moving on, till I reached my goal, which I thankfully finally have. Definitely, the competition level has risen. With the entry of post-graduates and other professionals into this exam, UPSC too has tried to make the exam tougher. I think that it is a positive sign that more candidates from the above-mentioned institutes are joining the race and the Civil Services. It shows that people have finally recognised this as a good alternative career choice, and also shows that the youth of today bother more about their role in society, and also in job satisfaction derived from serving the society. This is definitely a good sign for any progressing nation. ClearIAS.com: What is the secret of your success? 🙂 How did you approach this exam? What was your strategy in general (Prelims, Mains, and Interview)? Honestly, I don’t think it is a secret. Hard-work, or rather smart-work, and perseverance are the only ways to reach the goal. I did not compartmentalise between the various stages of the exam and started my preparation from a Mains point of view. Prelims gets covered along the way. Only 2 months before the prelim did I give it dedicated time and effort. For the Mains, this year I tried to do GS only at a basic level and focused more on Essay and Optionals as I feel that they are the major game changers. For Interview, I focused mostly on my DAF, by making Q&A out of it. But the main preparation is honestly just introspection and confidence-building. Before I gave my first attempt, I had spent an entire year in covering the syllabus. Of course, subsequent attempts did not require that level of an effort, but rather the effort was utilized in updating myself and in formulating answers. I can’t really generalize how much time I have spent per day, because I have been working, and at some point, I was on leave. When working, I try to spend 5-6 hours, and while on leave, I tried to put in atleast 10 hours. At the end of the day, what really matters isn’t the amount of time you spend, but on the quality utilization of that time. I preferred studying alone. I have had only one partner who studied with me, but after he reached his goal, I was pretty much on my own. But I have had many friends, who have guided me along the way. Yes, initially I did, I had attended Vajiram& Ravi, and had attended their test series as well, for both prelim and mains. This year, I had joined Pavan Sir’s Institute for Public Administration test series. For the interview, I had given mocks at various places like Vajiram, Chanakya, Hamdard Study Circle. I don’t feel that coaching institutes help much in the preparation, as they cover only major parts of the syllabus and not the entire thing, and are only helpful in giving a direction, and nothing more as they might lead to similar answers by the students. However, I strongly recommend test series for GS, Essay and Optional, as it not only gives you a question bank, but it also helps you in honing your writing skills and presentation. It also helps you in preparing yourself mentally and thus will help in saving time in the actual exam. Government websites are very important especially PIB for regular updates. Also, checking the Ministry websites for schemes and their annual reports also helps in giving authentic information and statistics. Besides this, for online prep, several sites are there like Mrunal.org, Vision IAS, Clear IAS, PRS online etc., which help in giving simple notes for various topics so that the entire syllabus gets covered. The website is very informative and has helped me in covering various topics in the syllabus. With regular updations, it can be made even better. ClearIAS.com: Please mention the programs of ClearIAS which you used. ClearIAS.com: Did you use Social Media like Facebook, Twitter or other forums for UPSC Preparation? Or did you say goodbye to the social media during preparation days? Any technology-tips (Eg: Mobile apps, Note making software etc.)? Since I am not a person who is entirely hooked on social media, I didn’t feel the need to stop using it. In fact, I have come across many important articles shared by friends on FB, which have proved helpful. I also rely a lot on YouTube, because I find videos an easier way of retaining information. Yojana is a good magazine which can help in updating oneself on the schemes and other government initiatives. Other than that, I focused on newspapers like Indian Express and Economic Times. I used to initially take around 3 hours, but gradually I pulled it down to 1.5 hours. Newspapers must be read from CSE point of view, ie, one should avoid reading too much about political controversies, as they tend to polarise our thoughts and also leads to waste of time. For reading the paper, first acquaint yourself nicely with the syllabus, and have a good look at past years’ papers, so that you know what you should be looking out for. Make hand written or typed notes as per your convenience, and leave ample space per topic for later updation. You can also make notes in a compartmentalised manner, such as Economics, Polity, Geography, Sci & Tech, etc. A mix of both. While I read some basics books the traditional way, I relied a lot upon the internet to constantly update myself, and to cover those portions of the syllabus, where I felt I lacked in clarity or depth, and also those minor portions which the books didn’t cover. This is a little tough to answer, as I did not exactly have any fixed routine. Broadly speaking, I get up late, study throughout the day (assuming I am talking about a leave day), and then study into the night. I am more comfortable studying in late hours. Of course, during work, I used to take half an hour break after work, and get into studying as much as I can till it’s time to sleep. I keep taking small breaks every 2 hours during studying so that I can go on for longer. It is tough to keep focused all the time, I must admit, and there were many times when I almost gave up. But by constantly reminding myself about why I started this in the first place, and what I set out to achieve, I managed to motivate myself. I was also extremely lucky to have a good support system in the form of friends and family, who always helped me whenever I hit any low point. Focus on test series for improving speed and accuracy. Yes. I prepared some notes. I had some from coaching institutes, but I always tried to update it with reading other material. I also went for test series this time, which I honestly feel has helped me a lot. For GS current affairs, I tried to cover the paper and also monthly magazines like Vision IAS, or any other of your choice. I tried to frame possible questions and answers, which was further supplemented by the questions from test series. Census, Budget, Economic Survey, 2nd ARC reports, Annual Ministry of Home Affairs report. A mix of both. Intro and Conclusion should be small paras of 2-3 sentences. The body can have sub headings and can be a mix of points and paras. I had written the one on engendering development, and on cyberspace and the internet. For the essay, the structure is very important and should be comprehensive and cover every aspect of the topic, such as its relevance, its evolution, pros and cons, ways to improve and way ahead. Always end on a futuristic and optimistic note. As per a friend’s suggestion, I had tried to include the relevance of the topic in the introduction, and the second para contained a sort of summary of the aspects I intend to cover in the essay, something like an abstract. I feel this helped a lot in boosting my marks by 30 points. Include points from other topics, and don’t restrict answers to history or geography alone(and this applies to every paper). Treat papers like GS! Draw maps and diagrams wherever relevant. What are your suggestions to aspirants for improving the score in the GS2 paper (Polity, Constitution, Social Justice, International relations etc)? Include articles and relevant acts wherever possible. Know the jargon used well, so that it can be used judiciously. Draw flowcharts wherever relevant. Experiment with these diagrams during prep itself so that you don’t waste time on innovating new ones in the exam hall. Try to use data and statistics, but if you do so, please do quote the source as well, so as to make the data authentic. Try to include data from the economic survey and budget. Try to link across topics. Again, don’t restrict yourself to ethics, as this too is a GS paper. Try to include other aspects like economic, social, political etc. While preparing itself, try to form answers on each jargon in ethics that you are familiar with and which is there in the syllabus. Try to find 2 examples in each topic, one which you see in everyday life, in society, and one which you see in a national or international level. Try to find few relevant quotes by leaders in these topics. In case studies, try to first write down the major issues that have to be addressed. You cannot solve a problem if you don’t know what it is in the first place. Then try to go to extremes as options, and lay down pros and cons for every stakeholder. Certain questions might require you to write down the various stakeholders as well. The middle path should always be chosen. Try to follow a logical course of action, by going from the very minimal to the maximum (saam, daam, dand, bhed). Use of force should always be a last resort and must not be the first choice. For improving the thought process required for these, please dwell upon how bureaucrats tackle various issues, which you might come across in the news. My optional was public administration. I chose this subject initially because I had heard it was scoring (atleast it used to be when I had started prep! ), and also because I felt it will help in GS and essay. Eventually, I fell in love with the subject, which helped me stick to it till the very end. I think the best way to study this paper is by first completing the syllabus, and then trying to interlink topics across the papers. Examples for paper 1 must be from paper 2, and vice versa. For this, test series and writing practice will help immensely! I tried to put paras and bullets, wherever relevant. I tried to put in a few diagrams if possible. And in some topics of paper 2, I would put thinkers as well as concepts. I always made sure to attempt everything. I have followed 2 strategies over the years, and both work, so feel free to choose. One way to go about it is to see the questions first (given separately in the end) and attempt those which you are sure of, then go to the others in descending order of confidence in the answer. Else, the other way is to go in order. If you know anything in the question, answer as much as you can and come back to it later if needed. If you are blank, don’t waste time on it, go ahead and revisit it in the end. In the case of paucity of time, I used to atleast write points. But with practice and proper time management, you can easily finish all the questions in full answers. I tried to focus on making Q&A from my DAF. The rest was current affairs from papers and discussions. Honestly, I think interview preparation is more of a personal journey, where you ask yourself why you are here and try to see how you would handle situations, and build your self-esteem. Yes, I did attend many mocks in Delhi. My hobbies were dancing and instrumental music. It was about 30 minutes. I honestly can’t recall everything. Chairperson Mam had asked me a few questions on cities and villages which I couldn’t answer very well, but then she asked me questions on improving slums, which helped me get back on track. One member asked me about the difference in relations between Saudi and Iran, Shia-Sunni conflict, the aftermath of Arab Spring (due to my background). One asked me whether I thought women made better managers than men, and I answered that this cannot be decided based on gender but on skills and aptitude. Another member asked me about the national health policy, implementational challenges and how to resolve them. Another asked me about reasons for the disintegration of USSR, India’s space program and whether it is a good idea inspite of poverty. Chairperson Mam had, in the end, asked me about Outcome budgeting, and also about what my department (IRS) is doing to welcome GST. I was fairly satisfied, though I knew I would get only above average. I got what I had expected. Do not go with any preconceived notions about which direction the interview will take. I have no clue why some questions were asked to me, and yet they were, Do not get stressed or thrown off when things don’t go your way. In that half hour, you will definitely get opportunities to correct it, just be sure to grab them at the right time. Be alert, and be open-minded. And lastly, be yourself, and feel that you are already a civil servant. This will boost your confidence. Not at all. I have got bad marks in the interview when I was younger! Indeed freshers have an edge I feel, and when one is from a settled background, then the expectations might rise. There is no matter of worry for any candidate. Just prove your worth in that half hour, and rise upto their expectations, or exceed if possible. There is nothing to worry. This is the only part of the entire process, where they are judging you as your true self, so just face it as a challenge. I have learnt that Essay paper shouldn’t be ignored and that even if you are good at writing, test series or any other writing practice is a must! The importance of writing to improve presentation and speed cannot be emphasised enough! I did in my first attempt, and so I was planning to write again if I hadn’t. Else, I probably would have tried to write CAT and join IIM. I had tried to write RBI exam for practice, but I didn’t clear it. No, but I had taken leaves. Try to finish reading the paper or doing any other current affairs work in office hours. Once you are back, and once you start off, try to focus on optionals first, and try to read up on GS later. Weekends must be dedicated to revision and writing practice. It might be challenging, and you might not be able to put enough hours as those who aren’t working. What truly matters though is how well you utilise the time that is available to you. Keep focused, and once you are back home, do not carry any baggage of work, and just focus on your prep. PS: Please also indicate the approximate number of attempts in each General Studies paper and the optional paper. For how many marks did you attempt in each paper? I attempted the whole paper in every subject. My husband, who was my partner and my constant motivation. My parents and in-laws who gave me the freedom and space to follow my dreams. Friends for all their help, especially in this attempt, Anand and Nandini. Teachers – Shabbir Sir (geography+GS), Pavan Sir (public administration), Samar Hamid Sir (interview-Hamdard Study Circle). And Vision IAS, and youtube! IAS was my only choice this year. I haven’t thought of novel ideas yet. I think necessity is the mother of all invention, and I’m sure with the help of the staff and society, innovations can be made whenever required. My focus areas would be education, health and women empowerment. If a person is healthy, they can focus on studies, and if educated, the person can earn a livelihood for the family. More so, if the female is educated in the family, it will help in ensuring that the children (both boy and girl) will have a good future. This cycle when it is completed, will help in the progress of the entire society and ultimately the nation. Honestly, not drastically. I have been humbled by the wishes of friends, family and am realizing the importance of this success when people ask me for tips. But yes, this success is just the beginning of a new chapter in my life, and I hope I can help many people along the way in whatever little way possible. More than education or finance, I think what is more required is the awareness of the family about the extent of perseverance required for the exam, and the willpower and commitment of the family to facilitate the aspirant along the way. I have seen friends from very humble backgrounds reaching here, and have also seen very well-off friends not making through after several attempts. Ultimately, the family also has to be committed to the aspirant’s dream. Once there is a will, there will always be a way. If you are financially sound, and if your family responsibilities can wait, I say that you should try to dedicate yourself to this, because it will be worth it. However, if that is not the case, please do remember that this is just an exam for a job. Our life and everyone and everything in it matters, a lot! I got married 3 days after I gave my interview for the attempt that got me into IRS! I am no one to suggest which should be of higher priority for you. That is your call! As long as you know how to balance everything in life, it is not an issue. Do not think you are at any disadvantage. Rather, I think because you are new, you can breathe freshness and life into your answers, which will set you apart, which could help you in getting through. Just focus on completing the syllabus, and focus on answer writing, test series, and of course, revision! Keep in mind in the game, and just keep pushing. Don’t get overwhelmed by the quantum of the syllabus. Just start at one end, and just keep going on. Stay motivated, stay confident, and you can do wonders in the first attempt! Never, never, ever give up! If you didn’t succeed, try to understand where you are going wrong, correct yourself, and try again. If you are sure that this is what you wish to do in life, do not give up on your dreams, not till you have given it all you have got! Keep going on, my friends. It will be worth the struggle.